Hey you! Yeah, you! 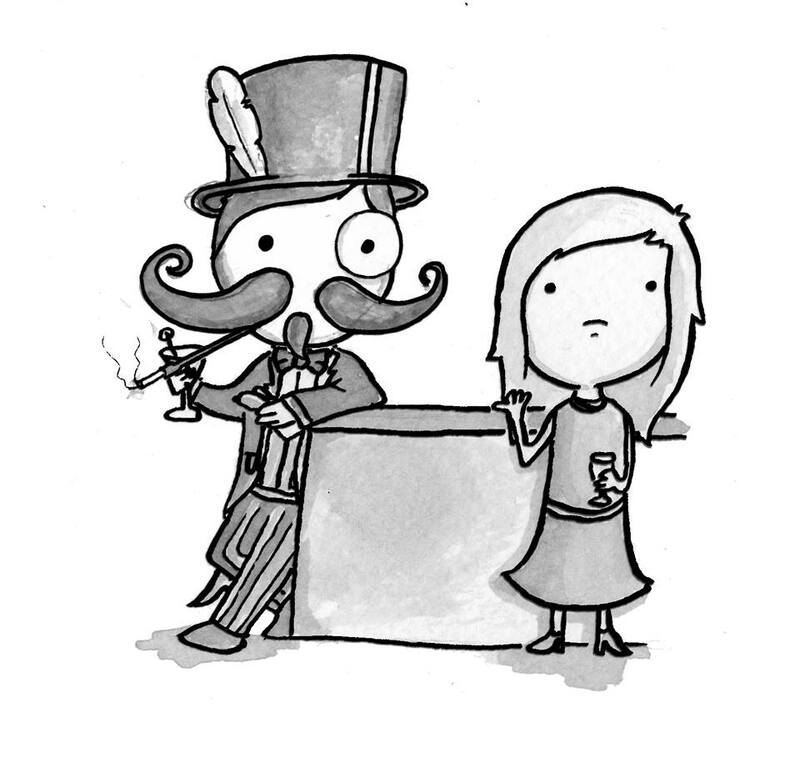 Every wanted to know how to be more suave? Of course you have. Well thankfully, the ‘Pipe Down’ partnership of Neil Slorance and Campbell Miller have decided to give us all a helping hand courtesy of this handy little comic designed to show us how to be just that. 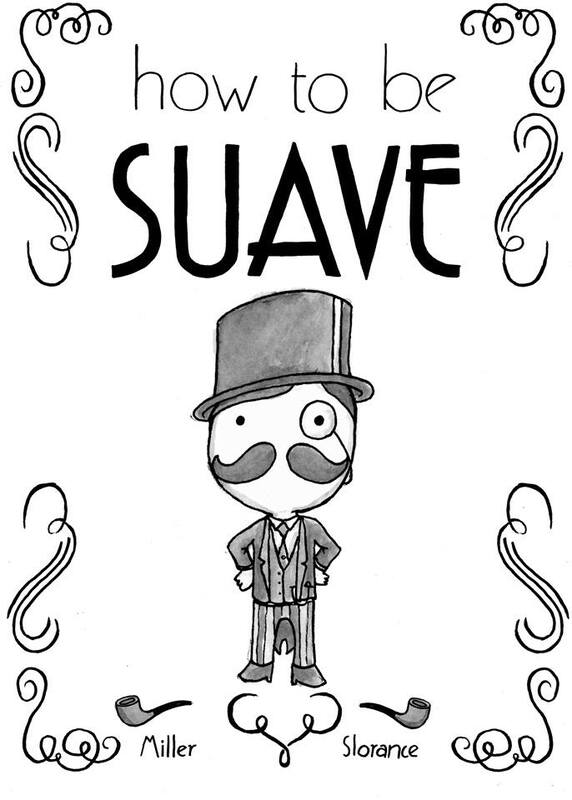 Suave. On outward appearances, this book has a lot in common with their previous offering, ‘How To Be A Ghost’. It features the same black and white style, the same text-heavy approach punctuated by Neil’s utterly charming illustrations, and the same innate sense of fun that has become something of a calling card of both creators. With a straight side-by-side comparison, it’s readily apparent just how much Neil’s artwork has come along in such a relatively short period of time. More depth, more expressiveness, better shading, I could go on. I’ve said it before, but it’s truly remarkable to me just how much emotion and character he manages to cram into these little nose-free people. And that gift is on full display here, particularly in a brilliant dialogue-free scene where our hero puts his new-found suaveness into action. Believe it or not, there is such a thing as *too* suave. While not perhaps having the same ‘ninja feels’ of some of Slorance’s previous work – where the reader can often find themselves genuinely touched by the sweetness of what they’re reading – Miller ramps up the humour here, providing some terrific moments along the way. Not quite ‘laugh out loud’ funny, but there’s an overall niceness here that makes it difficult to read without a smile on your face. Aside from the main message the book is trying to get across, there’s also some potentially interesting tidbits of practical information to be gleamed here, including how to correctly pack and smoke a pipe, and how to mix the timeless cocktail classic ‘the Old Fashioned’. Both key factors into achieving ultimate suaveness, I’m sure we’ll all agree. This book would definitely make a welcome addition to anyone’s collection. The advice given here is applicable to a lot of different situations (except perhaps the cocktail mixing), and the ultimate message is an extremely positive one. And, with Christmas coming, there’s no reason not to give a friend or loved one the gift of suaveness this year. The comic will see its official release this Sunday 15th December at the Sparkle House in Glasgow’s West End. There will be a prize for the most suave attendee, and rumours are circulating about Ferrero Rocher. You can find more details on the Facebook Event Page, and can keep abreast of all the latest news on the Pipe Down Facebook Page. You can pick up all manner of Neil Slorance awesomeness (including How To Be A Ghost and, presumably, this comic following its release) at his Etsy Store. You can also follow Neil, Campbell and Pipe Down on Twitter.